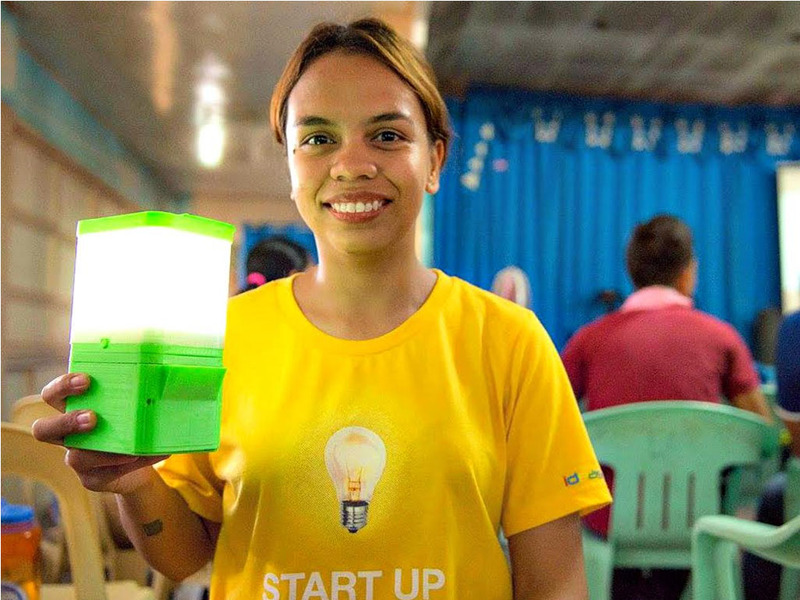 Aisa Mijeno, the Filipina scientist and inventor of the lamp that lights up using saltwater plans to release the product within year. Mukhang ngayon pong taon na ito mare-release na po yung lampara namin sa market. Ngayon po ay nasa production stage po kami," Mijeno said in an interview on radio dzMM. "Based po sa aming projection ng timeline, hopefully po ma-release namin siya either second quarter or third quarter of this year." What is good about her invention, the Mijeno's SALt (Sustainable Alternative Lightning), is that the said lamp can run full straight eight hours with only just one glass of tap water and two tablespoons of salt, or just simply using the ocean water. According to Mijeno, they are on the stage of producing the lamps with the support of the local manufacturing company partner that is based in Binan, Laguna. They are aiming to produce about 500 units a day or about 15,000 units monthly. They are also targeting to sell the lamp with less than P500 per piece so almost anyone can afford one. "Yung mga rural areas na walang kuryente, ibibigay po namin sa kanila yung units for free. Wala po silang gagagastusin," she said. "Pero since nakikita rin po namin yung trend na even people from the city gusto po ng lamp as emergency device during typhoon, ilalabas rin po namin siya sa retail market. Marami po ang nagi-inquire sa amin para makipag-partner in terms of distributorship. May mga certain kilala rin pong retail stores na kumakausap sa amin."